Gold prices are down 3%, but is Gold tumbling? 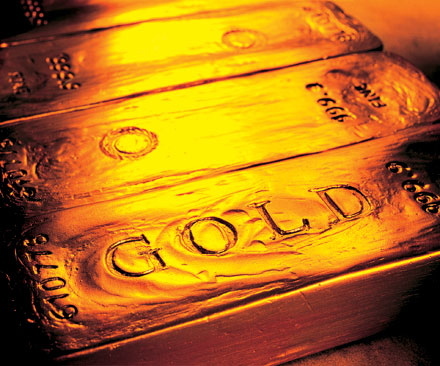 Typically investors acquire Gold to hedge against the currency's depreciation. One of the signs of its depreciation is inflation. Of course, the "experts" state that inflation is low based on the CPI, but this index does not include all goods. Gold maybe down for now, but will the Fed inject another round of Quantitative Easing? If so, then Gold may increase in price based on more currency in the system. Centrally Planned Economy: Is it Possible? Is it possible for Government to "manage" an economy? In order for this process to take place, the Government must have the ability to control the factors of production. Next, the Centrally planned economy must understand and know the needs of all the actors in the process known as the Free Market. Of course, if the Centrally planned Government has control of the factors of production, individual private property rights would be an lost ideal. If the Government has control of the factors of production, how will costs be allocated? Will prices play a role? If no prices are used in the calculation, how will the economy allocate resources to its most urgent needs or uses? With regards to running an effective and efficient Centrally planned economy, is this really possible? Professor Joseph T. Salerno explores the polemic that was eloquently presented by Ludwig von Mises in his book "Socialism" and other lectures.